Gorillaz Announce First North American Tour in 7 Years! 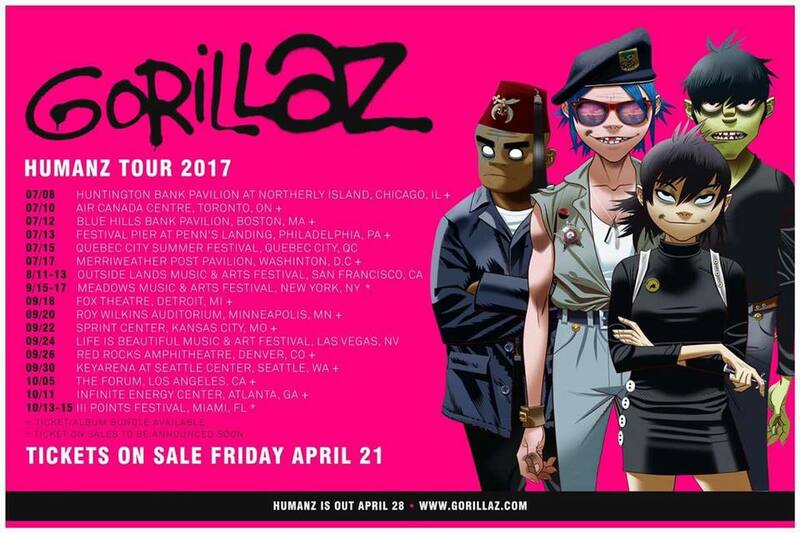 The Gorillaz have announced their first North American tour dates in 7 years.... Just in time for their new album to hit the stores later this month! 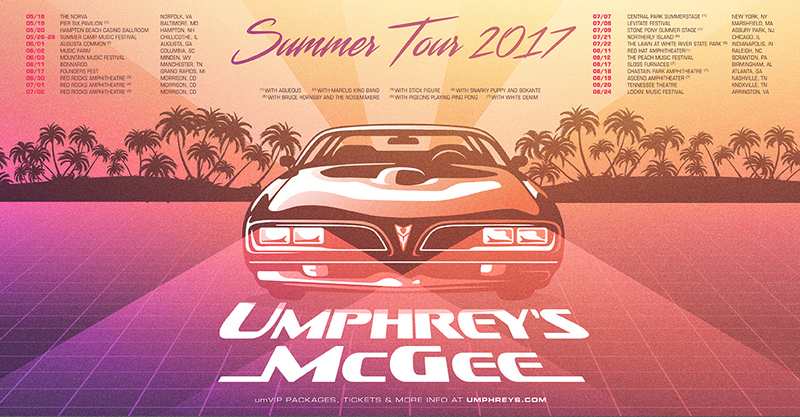 Umphrey's McGee Announces Additional Dates for Summer 2017. A Return to Chicago, Atlanta, Nasvhille, & More. Umphrey's is Back on the road this summer and they've just announced a whole slew of new dates including, but not limited to: Chicago, Indianapolis, Atlanta, Nashville, Knoxville, Red Rocks, New York City, & Many, Many more. Check out the full list and see when tickets go on sale HERE.